Will there be an upset this season? The Moto2 season is underway and the 2019 Moto2 betting predictions foresee Lorenzo Baldassarri as the clear championship. There are however some riders that could cause some upsets this year. Brad Binder, Sam Lowes, Xavi Vierge and Augusta Fernandez are the top underdogs that could win the 2019 Moto2 Championship. Moto2 is a motorcycle world championship launched in 2010 and governed by the International Motorcycling Federation. 2019 Moto2 season races will be held in circuits in Europe, South America, Asia, Australia, and the US. The first two races have already been completed with Lorenzo Baldassarri claiming both wins in Qatar and Argentina. This year, the Moto2 season will run from 10 March to November 17. 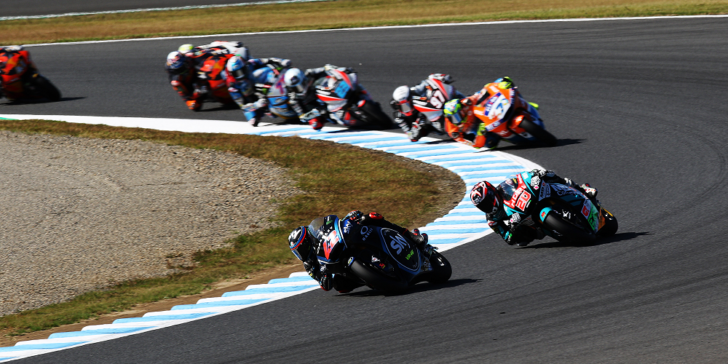 Click here for more odds to bet on 2019 Moto2 Championship! The 2019 Moto2 betting predictions say that the following underdogs could win the motorcycling championship. These are their odds below.. Check out our review about bet365 Sportsbook for more! Brad Binder is among the underdogs that could make a shock win the season according to the 2019 Moto2 betting predictions. His odds of doing so are 10/1 on Bet365 Sportsbook. He moved to Moto2 from Moto3 in 2017 and marked his debut by finishing in a respectable 8th position. The South African driver went on to secure an impressive 3rd position in his second Moto2 year. Binder’s main goals will be to only improve from the previous season. 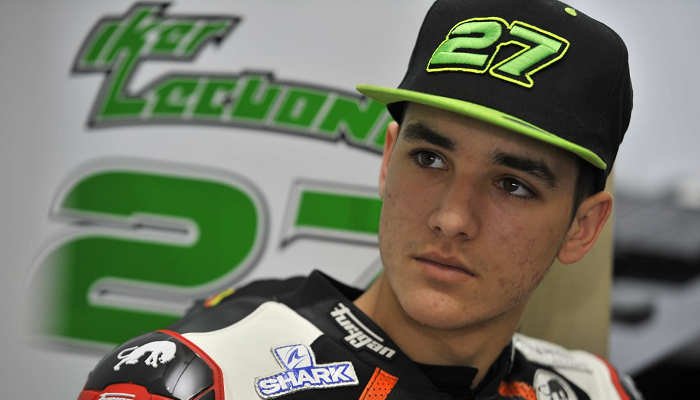 If he can maintain focus, he could upset the likes of Lorenzo Baldassarri and win his first Moto2 championship title. Sam Lowes chances of winning the Moto2 championship this year are 14/1 on Bet365 Sportsbook. The British racer has also never won the championship and he hopes to win his first title this year. 2019 to be The Year for Sam Lowes? His best Moto2 season was in 2015 when he finished the championship 4th overall. In the 18 races, he had 1 win, 3 podium finishes, 3 poles starts and 1 fastest lap. Lowes 2018 season is one that he would want to forget about. He finished last year’s championship in 16th position with a mere 49 points. The English driver also failed to secure a podium finish, fastest lap, podium finish or a win. This was a first for the Moto2 driver since his 2014 debut. Lowes will look to bounce back from 2018 and a championship win would be the perfect way to do so. Last year, Xavi Vierge had his best career performance in Moto2 finishing in 11th position with 131 points. He has however failed to finish inside the top 10 in the championship since his 2015 debut. His odds of winning this year are 20/1 and his poor record in the competition is working against him. If Xavi Vierge is to pull off a surprise win this year, he will need to stop wasting opportunities. The Spanish driver has been strong in the qualifying races of the Qatar and Argentina Grand Prix. This earned him 2nd place on the Grid in Qatar and pole position in Argentina. However, he failed to capitalize on this advantage, finishing only 10th in Qatar and couldn’t even finish the race in Argentina. The 2019 Moto2 betting predictions say that Vierge still has a small chance to win the championship. If he, however, fails to take advantage of such opportunities in the season, then he might miss out on winning this year. According to the online sportsbooks in the UK, Iker Lecuona has the lowest odds to win the 2019 Moto2 title. He made his Moto2 debut in 2016 and has only managed to finish outside the top 11. His best championship finish was 12th position in 2018, a big improvement from his 35th position in 2017. Iker Lecuona (60/1) didn’t have the best start to the 2019 Moto2 season. In the Losail Grand Prix in Qatar, he was forced to retire following an accident walking away with no points. He did manage to successfully bounce back in the next race in Argentina. Lecuona finished the Termas de Rio Hondo in 4th position, this time walking away with 13 points. Although it would be exciting to have an underdog win this year, it’s highly unlikely that it will be Iker Lecuona. The other underdogs have better Moto2 records and have more experience making him a risky racer to bet on.